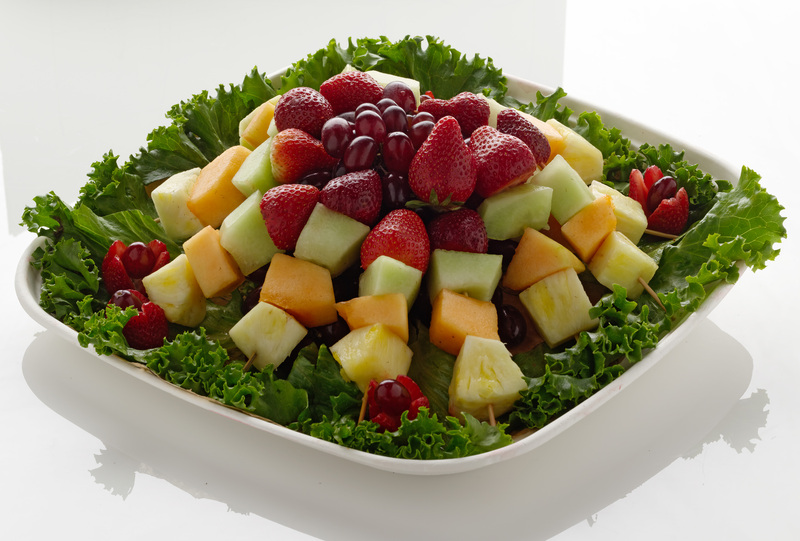 A gorgeous display of fresh fruit cubes arranged on skewers. 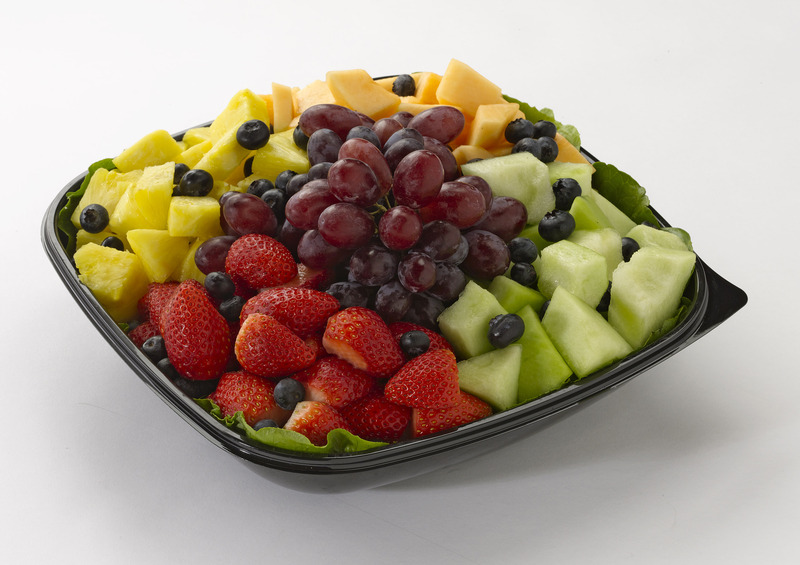 A colorful andhealthy addition to any meal – breakfast or lunch. 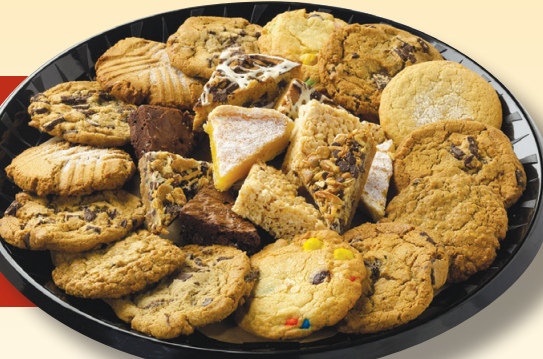 This variety of bakery items is baked fresh in our stores every morning. Our muffins and scones are made from scratch using organic ingredients such as flour, butter and sugar. 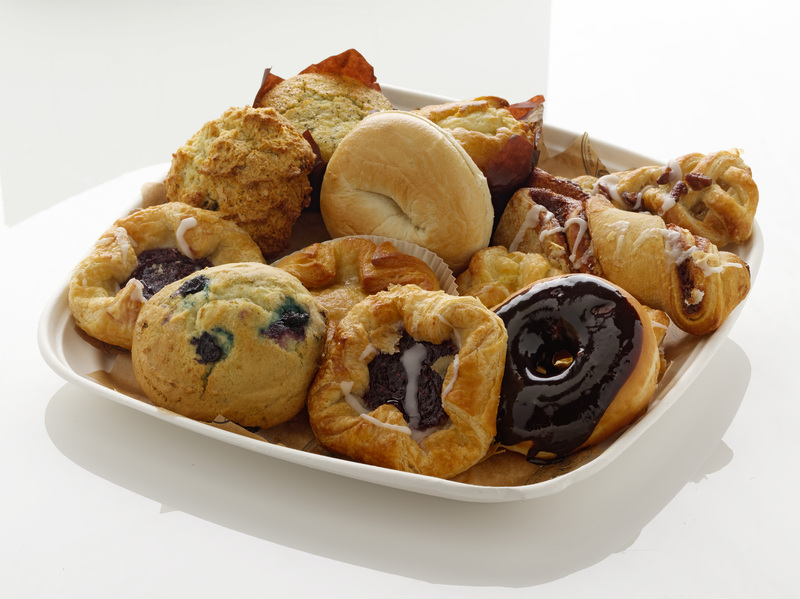 Each tray includes an assortment of bagels, donuts, muffins, scones, danish and coign amann. 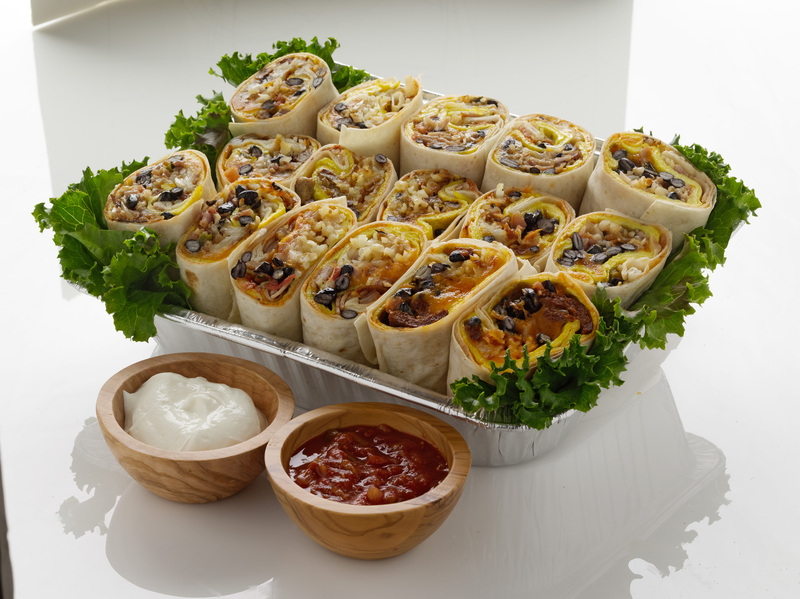 Burrito halves are filled with a choice of meat, eggs, black beans, pico de gallo, cheddar cheese, chipotle cream cheese and hash browns with salsa on the side. Sour cream available on request. 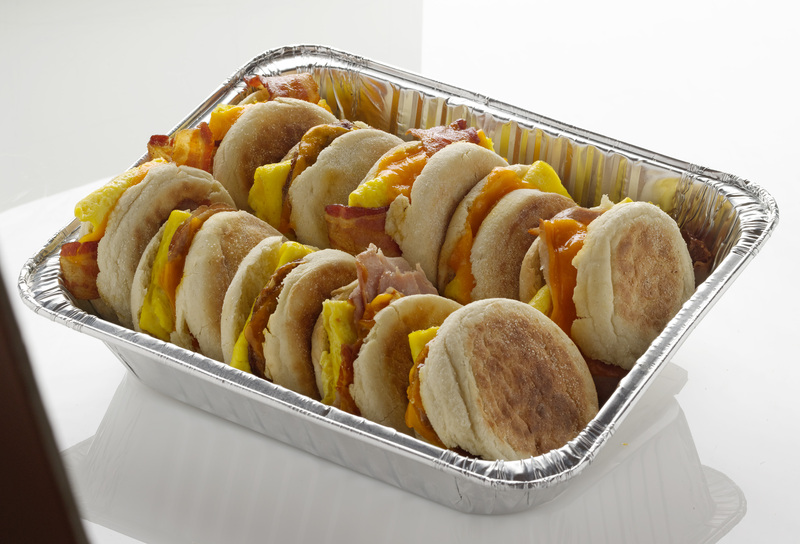 Create your own breakfast tacos from scrambled eggs, cheddar cheese, chopped sausage, tortillas (2 per person) and salsa. 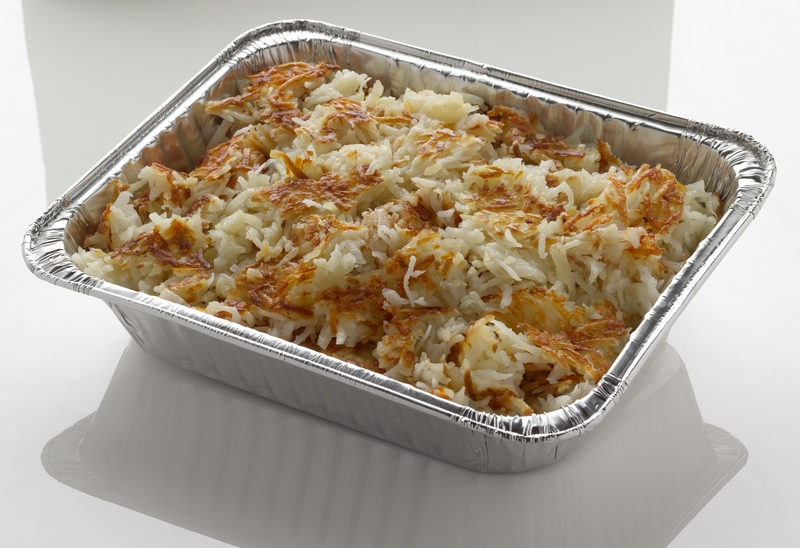 This traditional meal is sure to satisfy your guests. 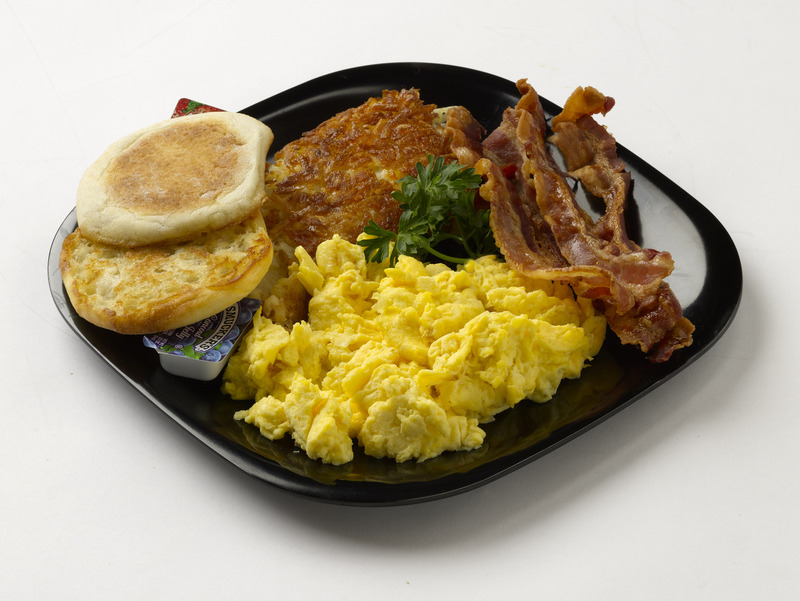 Each serving includes three scrambled eggs, three strips of all natural bacon, hash browns and an English muffin. Add a coffee tote for $16.49 (serves 6-8). Low fat vanilla yogurt, fresh blueberries, grapes, and strawberries. Delivered ready to eat with the granola on the side. Our coffee service features MorningStar® coffee – a local, organic, fair trade certified company. Your choice of coffee flavor: Breakfast Blend, Colombian, French Roast, Decaf, Vanilla Cream, or Hazelnut. 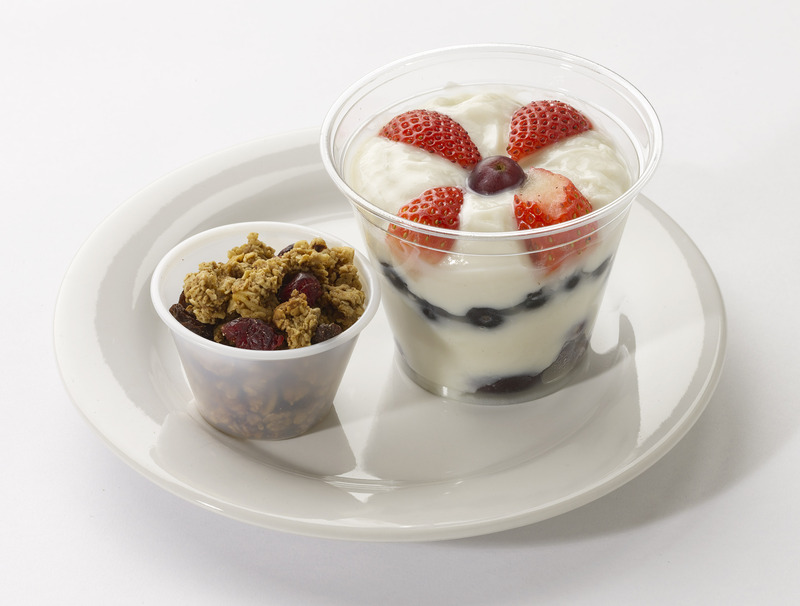 Delivery includes coffee cups, cream, sugar & sugar substitute. The Classic Lunch includes a dessert choice, a side choice, baby carrots, condiments, and utensils. The Executive option includes Classic items + a beverage and fruit choice. 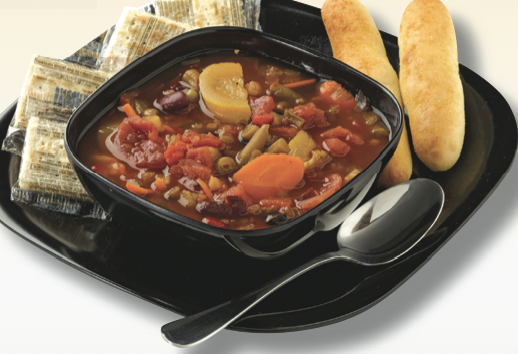 The Classic Lunch includes a dessert choice, breadsticks, baby carrots and utensils. 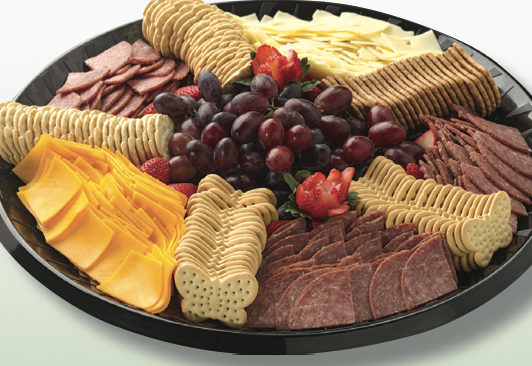 Our most popular platter with something for everybody. 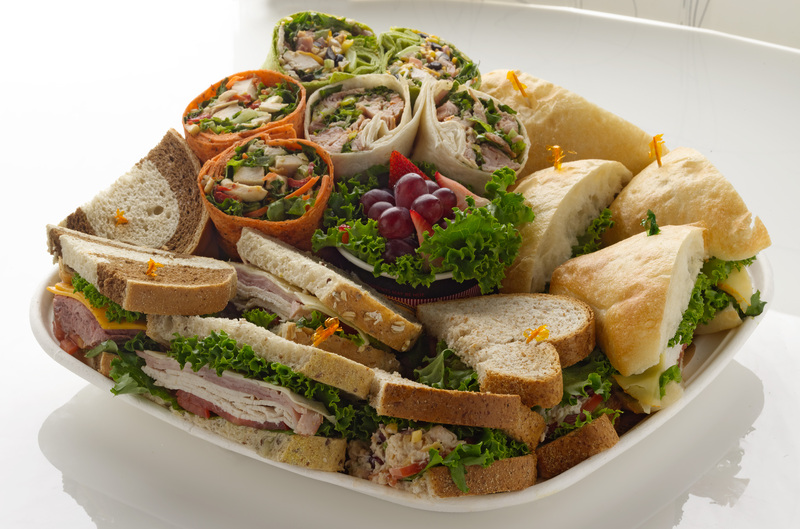 Includes an assortment of 4” wraps, a variety of ciabatta triangles, and a selection of deli sandwiches. Vegetarian options (upon request) will be presented on a separate tray. 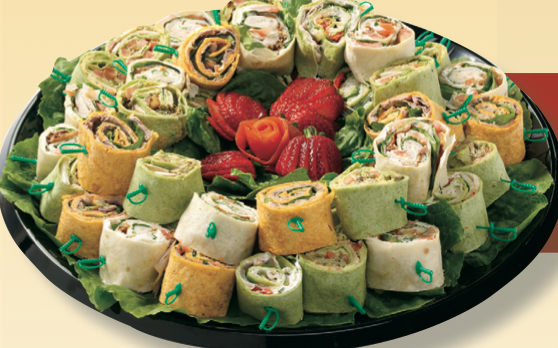 Enjoy a variety of tortilla wraps. Flavored with extra virgin olive oil, basil and sage, ciabatta is known for its crisp crust and soft texture. 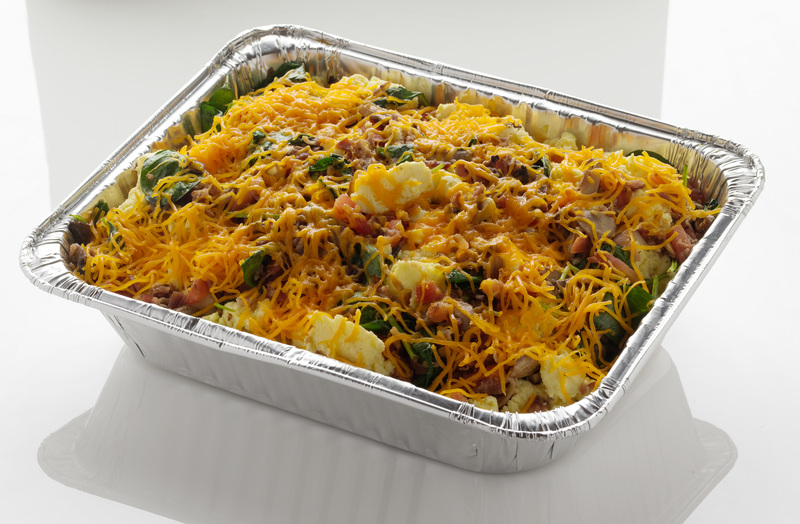 These are crafted with a variety of cheese and meat, Roma tomatoes and romaine. Vegetarian option will be included upon request. We use all natural meats and locally sourced cheese and bread. Vegetarian options are presented on a separate tray. 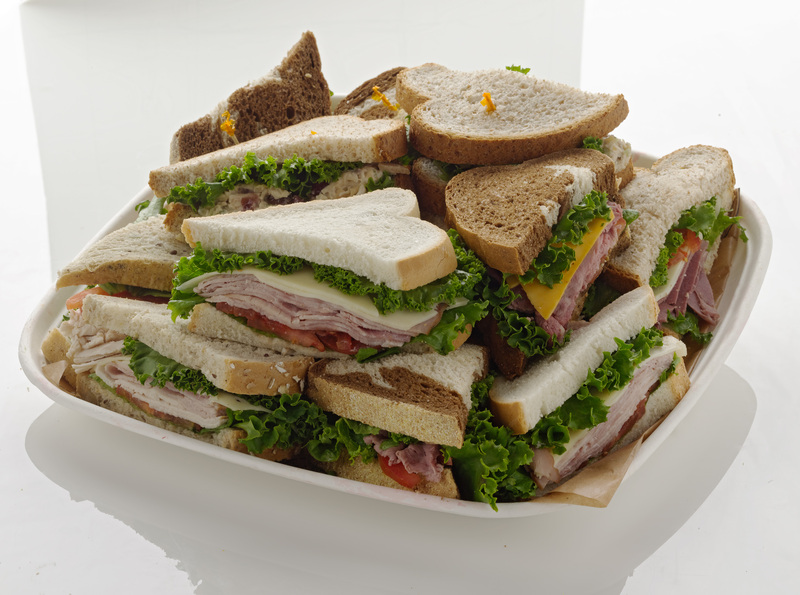 Each sandwich is cut in half for sharing and includes romaine lettuce and roma tomatoes. Vegetarian and gluten free option available. Eliminate the veto factor with these popular and satisfying sandwiches. 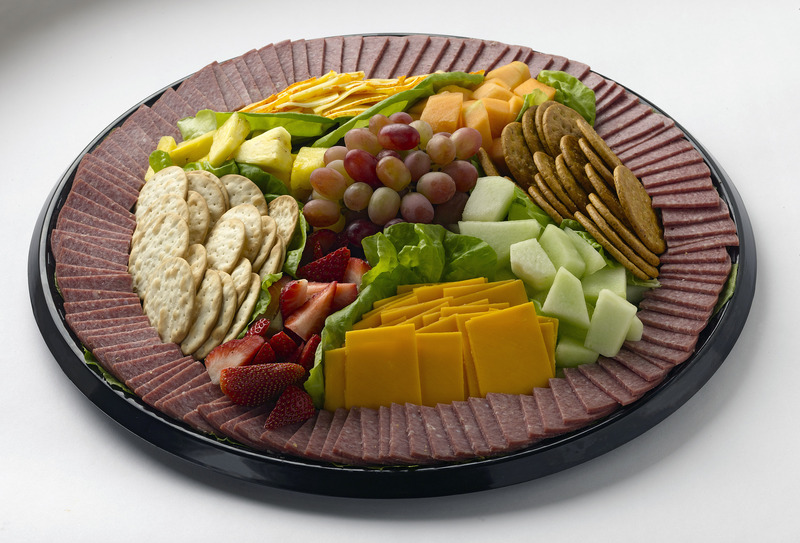 Each platter includes white or whole wheat buns stacked with all natural meat, cheese, roma tomatoes and romaine. 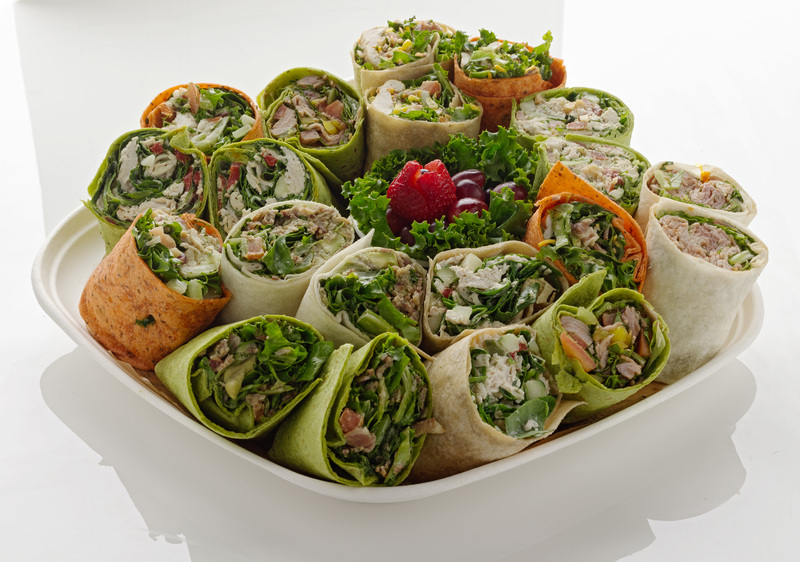 Order an assortment or choose between roast turkey, applewood ham, roast beef, cran-almond chicken salad or veggie avocado. 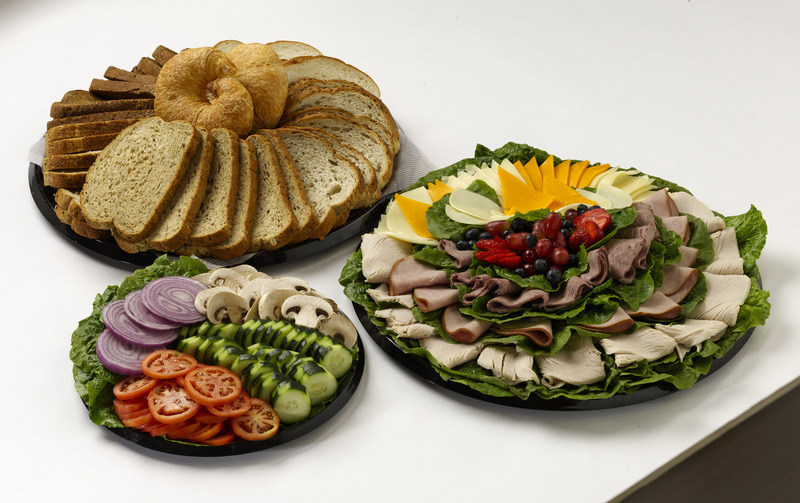 order includes a platter of thin- sliced deli meat (turkey breast, Applewood ham, and roast beef), a fine selection of assorted cheese, a tray of fresh vegetable toppings, and a variety of breads. Condiments included. 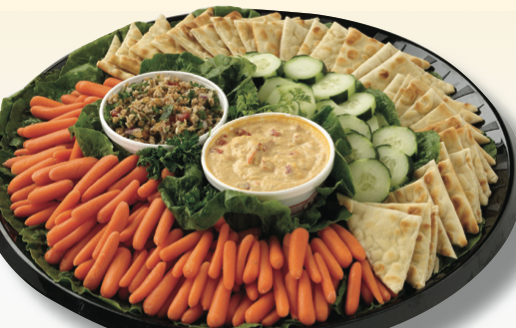 Add any 2 sides to one of our Sandwich Platters. 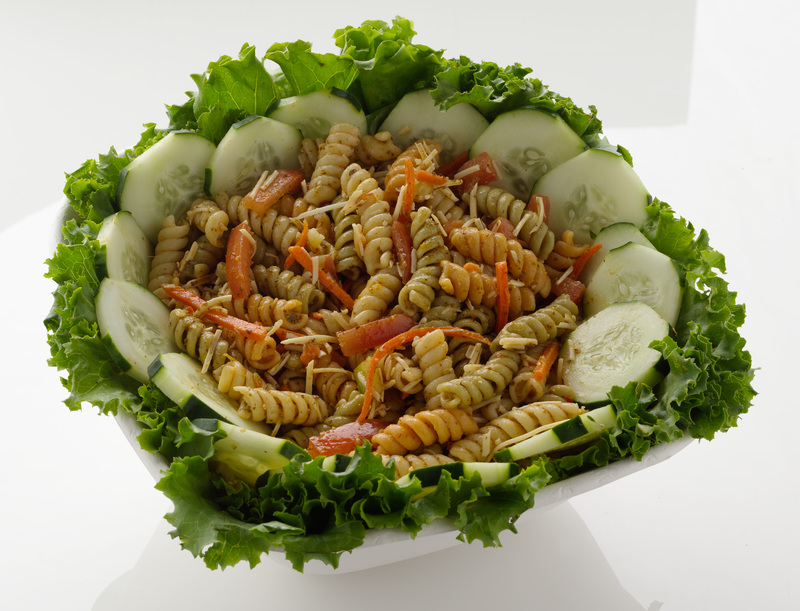 Need a buffet side salad for your next pot luck or business lunch? 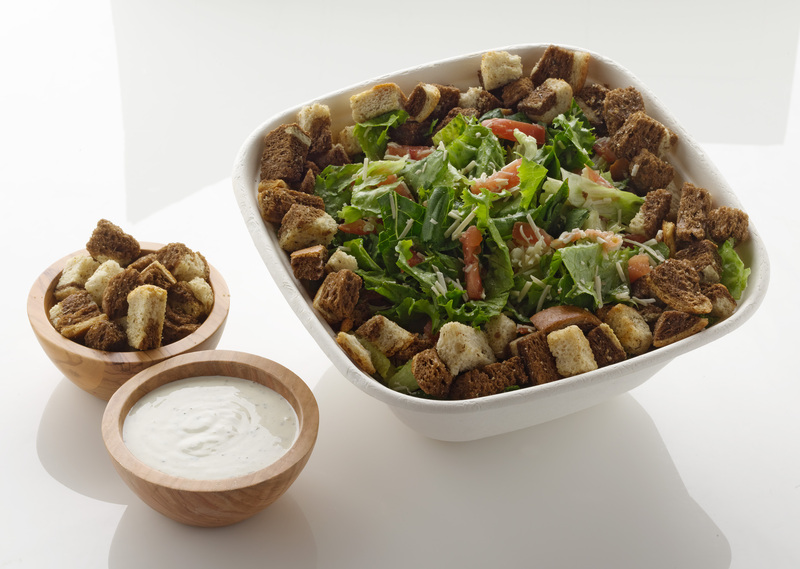 We send free breadsticks with your order and serve the caesar dressing on the side. 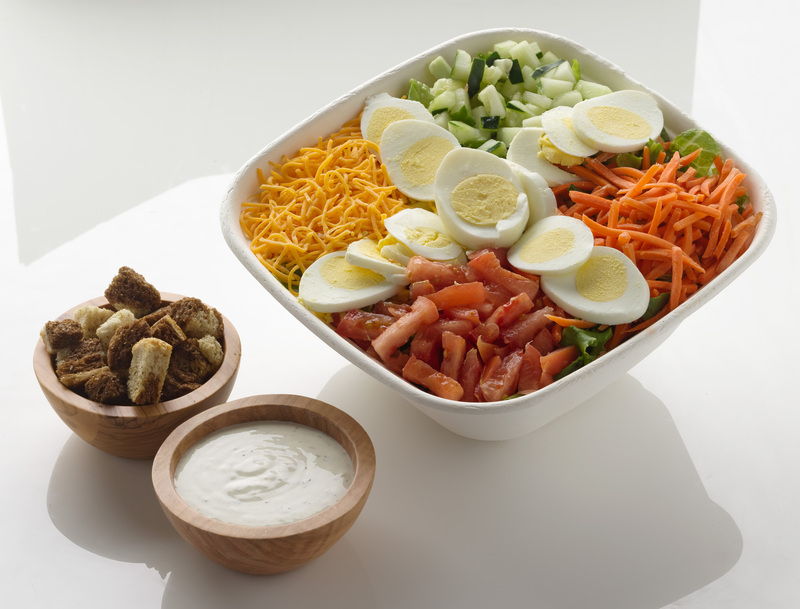 Need a buffet side salad for your next pot luck or business lunch? We send free breadsticks with your order and serve the dressing on the side. Your choice of dressing: Fat Free Citrus Vinaigrette, Spicy Sante Fe, Balsamic Vinaigrette, Poppyseed, Buttermilk Ranch, Honey Spiced, Extra Virgin Olive Oil or Blue Cheese. Flatbread filled with one of our delicious options. Served with pickles, kettle chips and a garden salad bowl. 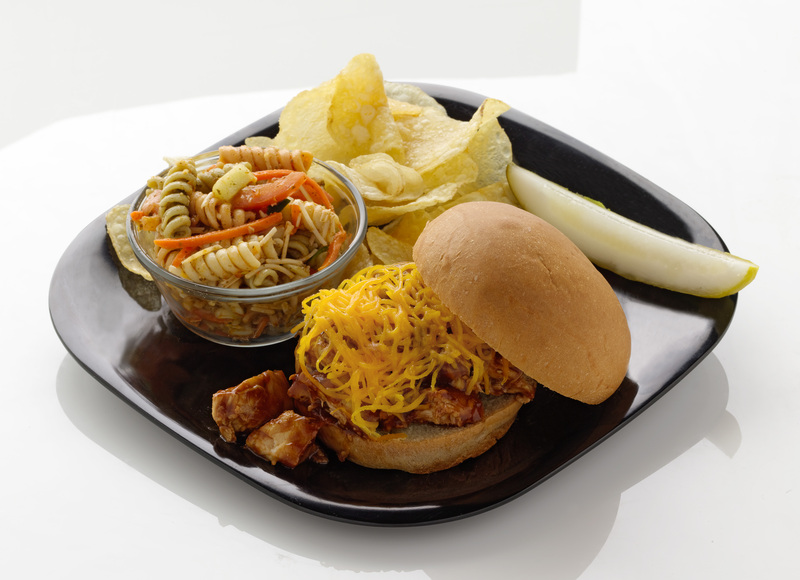 Create your own fajita with all natural chicken breast and beef strips. Two flour tortillas per person (corn tortillas available upon request). Buffet includes rice & beans, salsa, sour cream, guacamole, pico de gallo, sautéed green pepper and onion, lettuce, shredded cheese and tortilla chips. 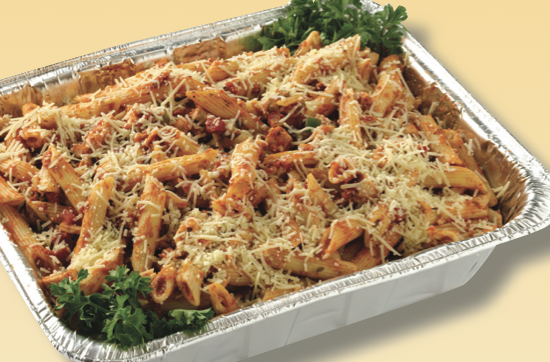 All Natural chicken breasts are seasoned and baked then tossed with marinara sauce and al dente penne pasta. 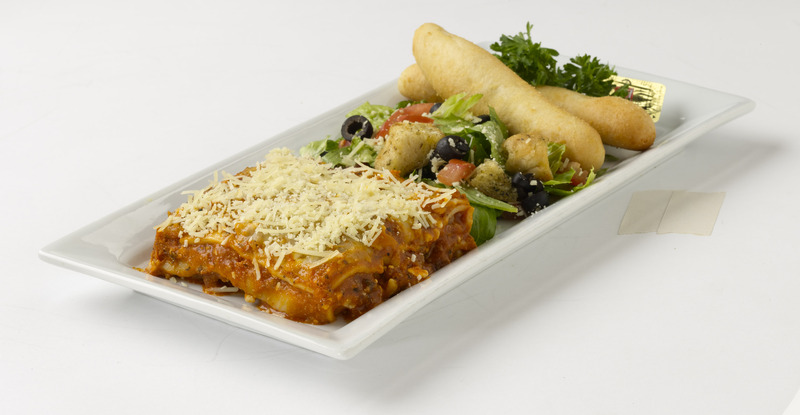 A flavorful mixture of sautéed mushrooms, red onions, red peppers, green bell peppers and parmesan cheese. 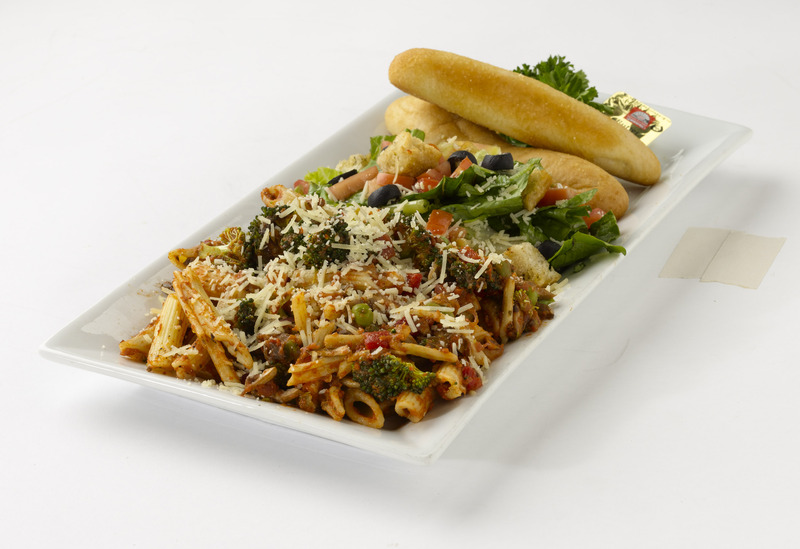 This vegetarian option combines sautéed mushrooms and brocolli with green peas and assorted vegetables, parmesan cheese and penne pasta. Classic crowd pleasers! 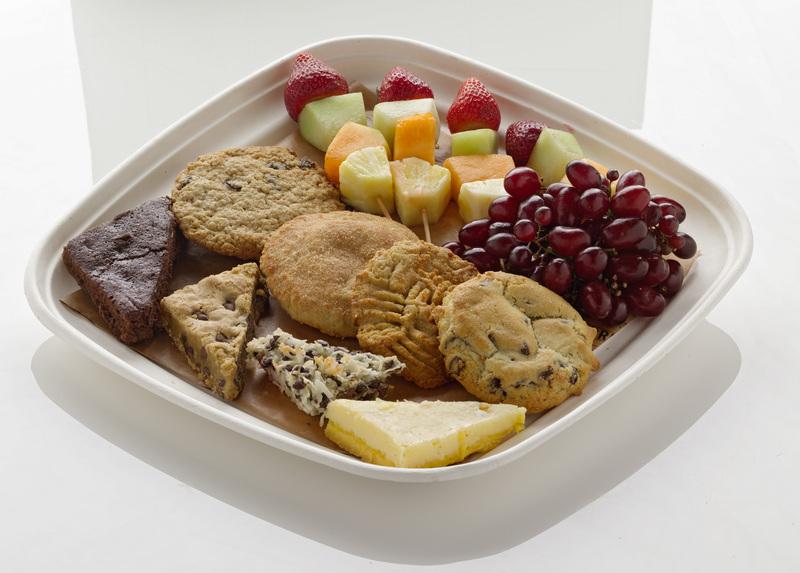 These trays are hand layered with a blend of cheeses. Bring the backyard to your next event. We can even grill onsite (call for info.) 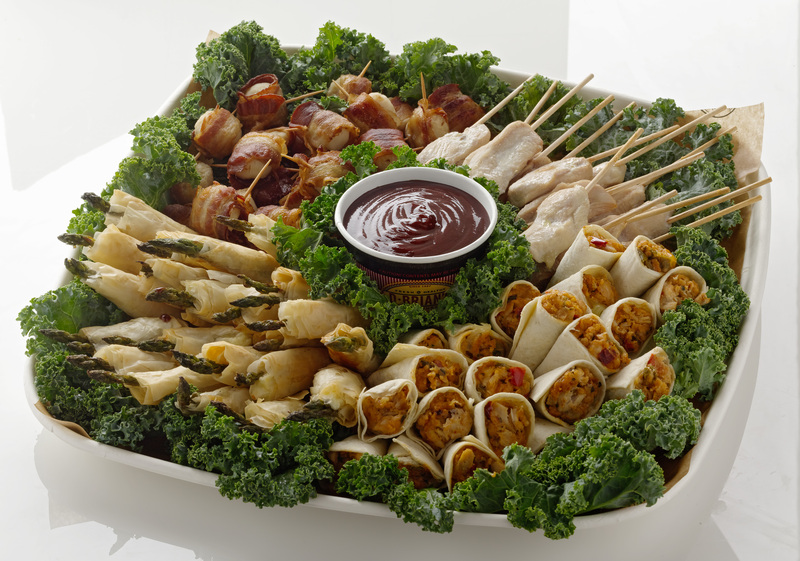 Create your own picnic with this popular buffet. 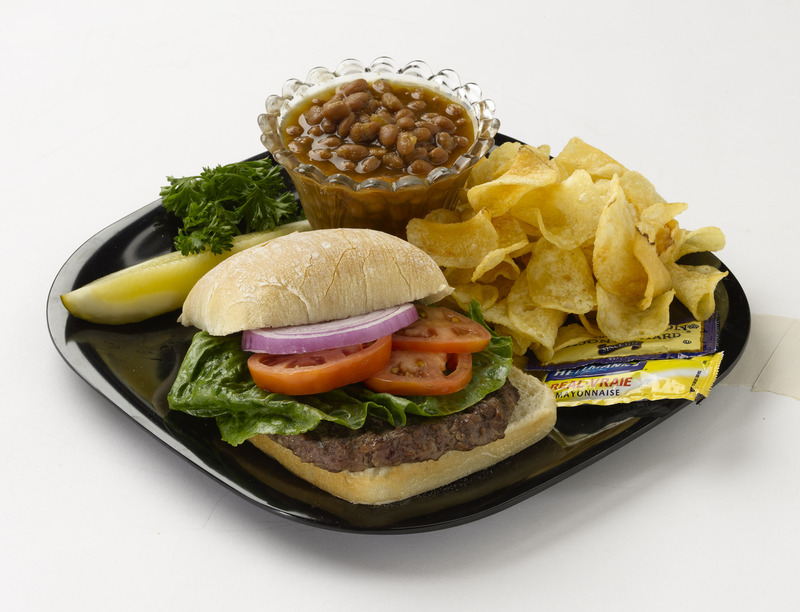 We grill all natural hamburgers and chicken breast and you add the toppings provided. Served with chips and choice of baked beans or pasta salad. Jumbo baked potato with all the accompaniments: shredded cheddar, sour cream, bacon, salsa, and butter. Set up buffet style. 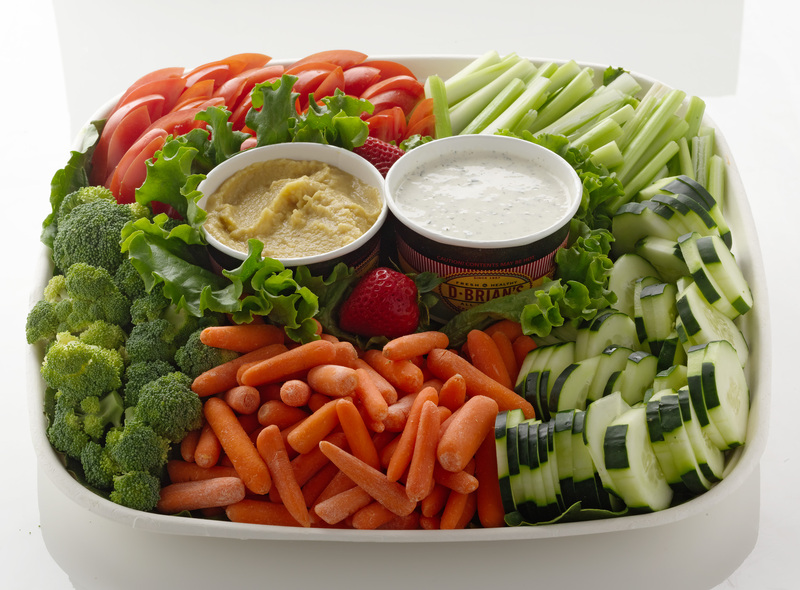 For light, nutritious snacking with celery, carrot, cucumber, brocolli and green pepper and a generous portion of ranch dressing and hummus for dipping. An assortment of cucumber turkey, hummus avocado, ranchero beef and turkey BLT. 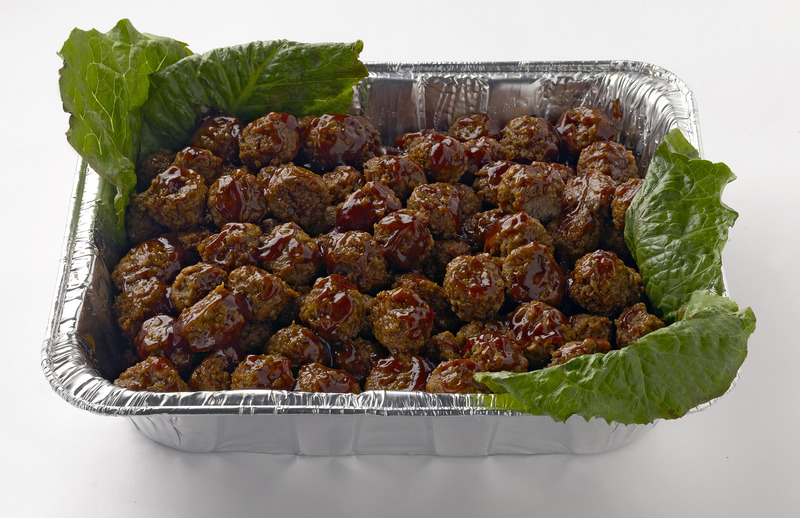 Enjoy our classic meatballs paired with tangy barbeque sauce. and spices then hickory smoked. 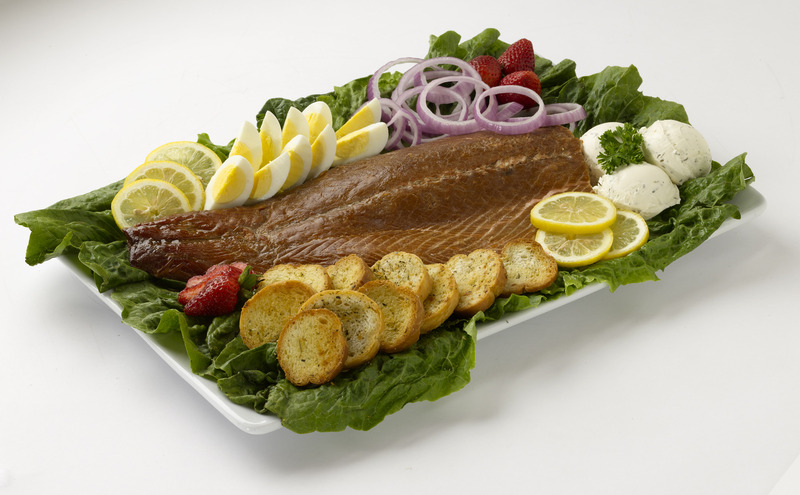 Served with crostini, cream cheese, red onions and hard-boiled eggs. Truly a memorable appetizer. 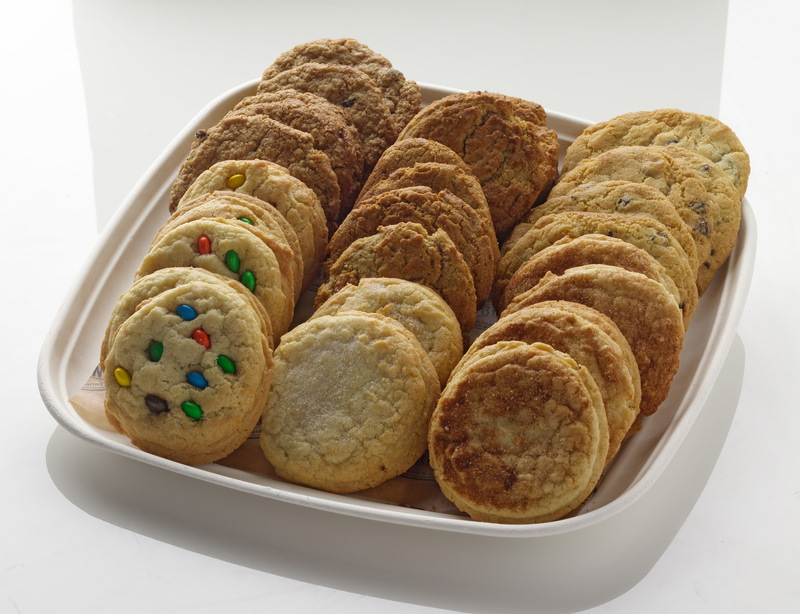 A delicious treat of fresh made cookies for smaller groups. 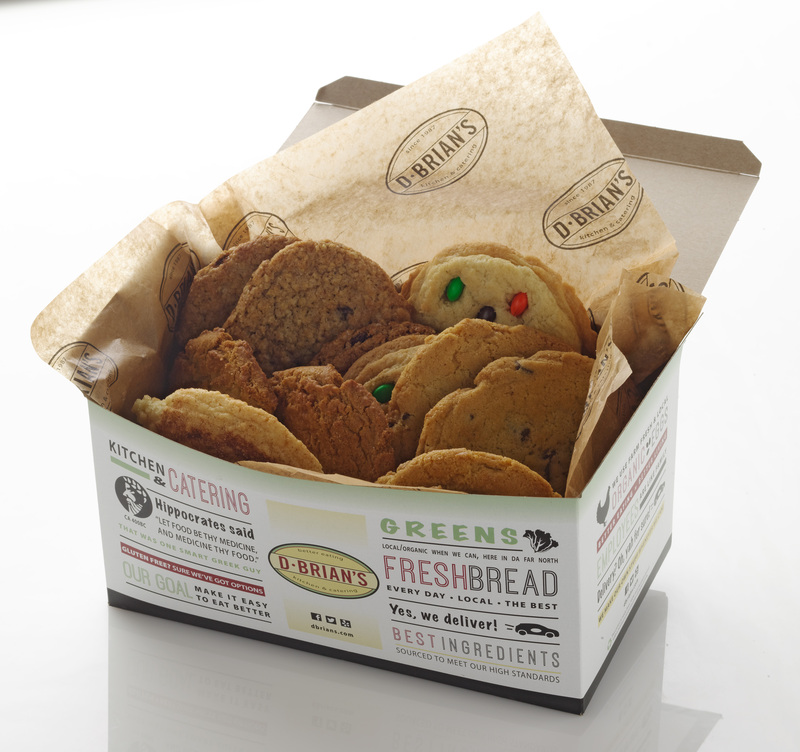 Our assortment is made with organic ingredients. Everyone loves a homemade cookie! 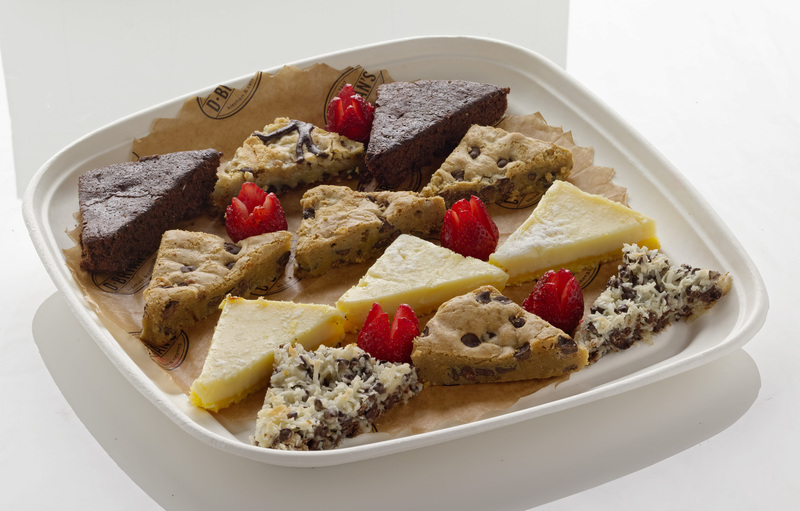 Our assortment is baked-fresh daily in our own bakeries and made with organic ingredients!